British real estate professional Michael Lloyd, who had set up Quintet Asset Management, has decided to withdraw from this real estate business, as well as from his management position with Rutley investment fund, but plans to continue investments in Romania. 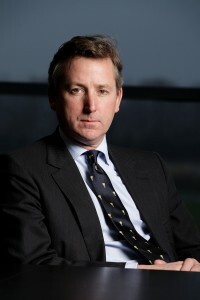 The new CEO with Quintet Asset Management is Paul Phillips, who was previously chief development officer. Michael Lloyd has been working in real estate for 20 years, out of which 17 in Romania. Before setting up Quintet Asset Management, he was principal and managing partner with Baneasa real estate project, starting 2000. Before that, he was part of the Jones Lang LaSalle real estate consultancy firm. Michael Lloyd has left the Baneasa project in 2008, when him and his family moved residency to Switzerland. Lloyd is one of the movers and shakers of Romanian real estate.